Convenient, professional and helpful. The Groves Pharmacy offers medicines and health products as well as expert advice from our experienced pharmacists on a wide range of issues. Your prescription or repeat prescription can be dispensed for collection from the pharmacy, or you can contact our staff to sign up for free delivery to your home or work. 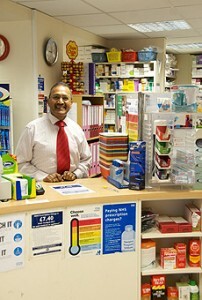 Our pharmacists will be happy to discuss and answer any questions you have about the medicines you take. Together with their expert assistants they will also be pleased to advise on healthy lifestyle, minor ailments and remedies. You can call and fax the Pharmacy on 020 8942 0619.